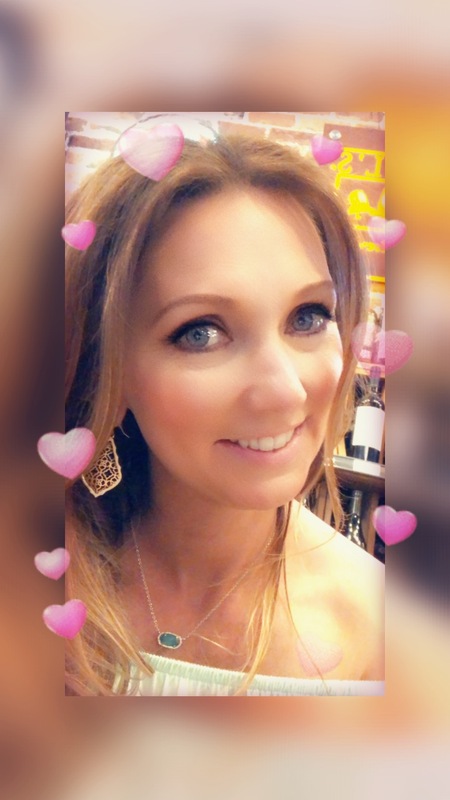 The world of beauty – Helen, Naturally! I had a pretty boring weekend. Boring as in food wise, not boring as in activity related! Oh and the hubster was pretty busy all weekend as well, which means food is not required as far as cooking goes! Which leaves me with no material to share with you at the moment, or at least no material food related. So I am going to talk about something out of the box on Helen, Naturally today. Instead of talking about food, what I eat, how I eat, why I eat (yeah let’s stick to the because you need to in order to live excuse, mmkay) or food of any kind, we are going to talk about beauty and fashion! We are however going to ignore the fact that I spent way to much money this weekend, no one needs to know! I picked up a couple of tops this weekend that make me super excited! Of course clothes always make me super excited but anyways. 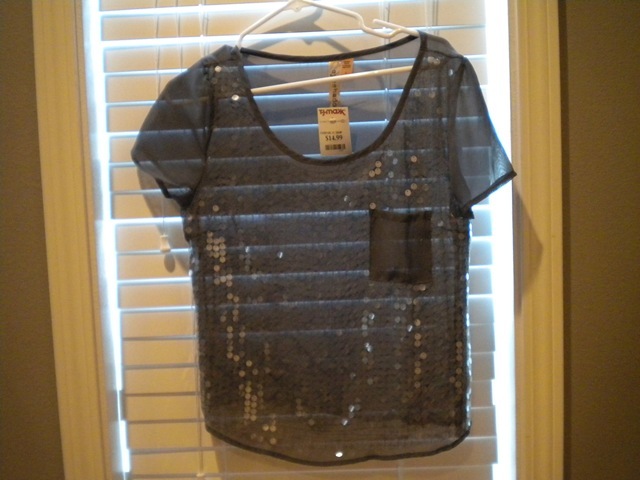 Love this sheer grey top 🙂 I picked this up at TJ Maxx for around 15$….can’t beat that. I am loving all the sheer/see through type tops lately. They are all over the stores, very versatile, and so darn cute 🙂 Of course this one will look killer with some dark wash jeans, black under shirt, and some pretty heels! I then picked up this little beauty. LOVE it! 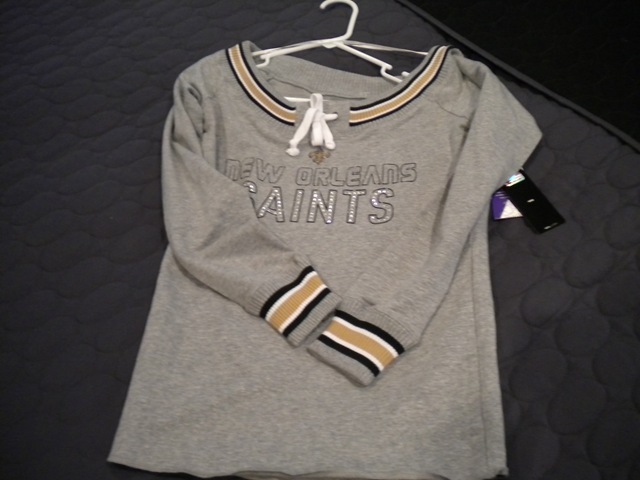 This shirt is from the official NFL gear company (whatever) and retails for around 50 bucks. Did I pay that much…..ummm heck no! I also made this purchase at TJ Maxx for 19.99. 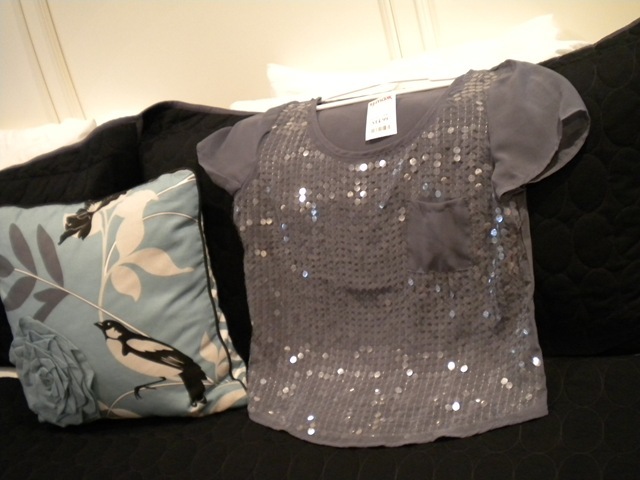 It is so cute – the top is an off the shoulder top. I can’t wait until it is cold enough to wear it. I am telling you now that I will be the only one around with this top. How do I know that? Because this top was mixed into a rack of other various tops, you had to dig through the rack to find it, and it was the only one in the store. Yes, I looked for more. On to my next favorite obsessions aside from fashion – beauty! As in products. I am a product junky. Just ask the hubster – okay on second thought don’t ask him – just trust me on this one! I picked up a few necessary items this weekend that needed to be replaced. Along with a few necessary items that I just wanted. Hey when it comes to products all things are necessary, right? So I am going to sort of give you a haul of what I purchase! Starting with foundation. I have been using the bare minerals powder foundation set for about a year know, and while I do love it, regretfully it just wasn’t doing it for me anymore. The powder was starting to settle into my fine lines, and it rubs off easily when you touch your face. Which is not good when you work with little kiddos that like to hug on you. So I decided to go back to another product that I absolutely love. 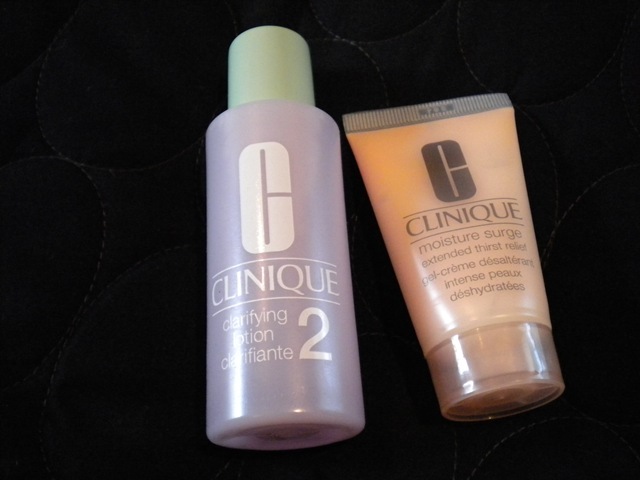 Clinique foundation. The free gift included this cute little bag (which now has a home in my purse for my beauty items), clarifying lotion, moisturizer, eye pencil, powder (which was only available in a darker shad so she informed me to use it as a bronzer – free bronzer <3, lipstick, mascara sample (which happens to be the one I use anyway). 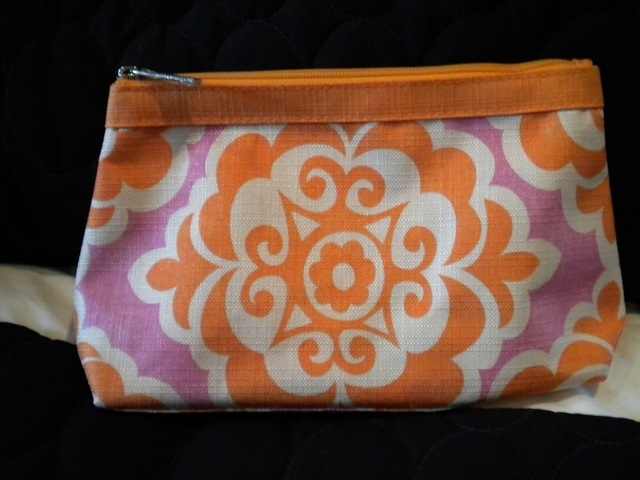 I picked up this little thing in Ulta this past weekend. 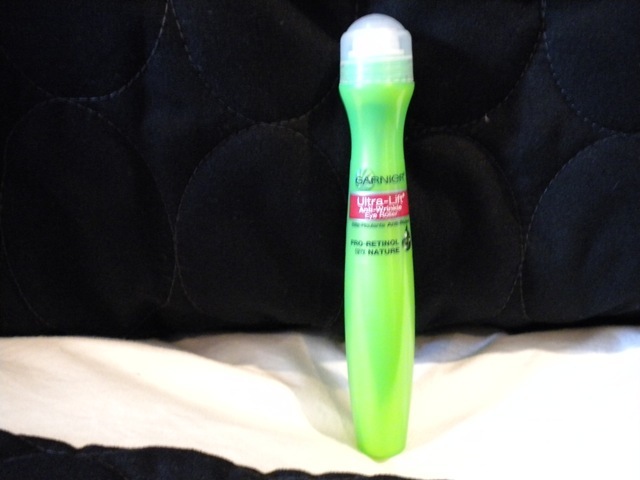 Along with the Garnier fine line/wrinkle roller. Love the roller. Goes on so easy and quick. I am going back to get the dark under-eye circle roller as soon as my next Ulta coupon comes in. I have heard great reviews about it. 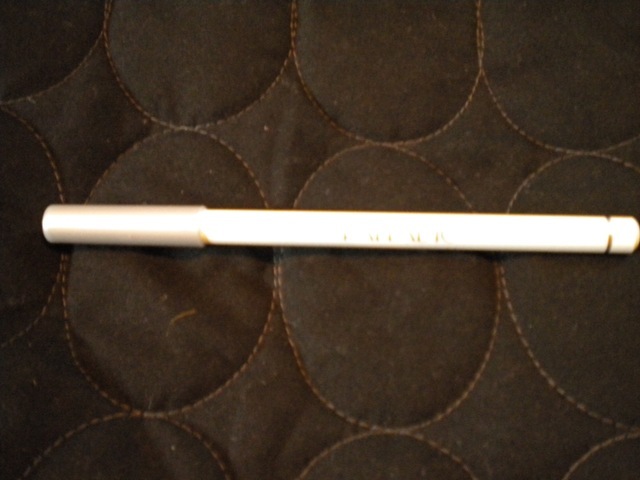 So why do I have a white eye pencil? To brighten up the eye area around the tear duct! If you have never tried this trick then you must. It is mandatory when you are wearing a smokey eye look, but this little trick does wonders for making you appear awake! Just take the pencil and outline the corner area around the tear duct. Pat with your pinky to blend it, that’s it! You really should try this trick. Any white pencil will work you do not have to have an expensive one. 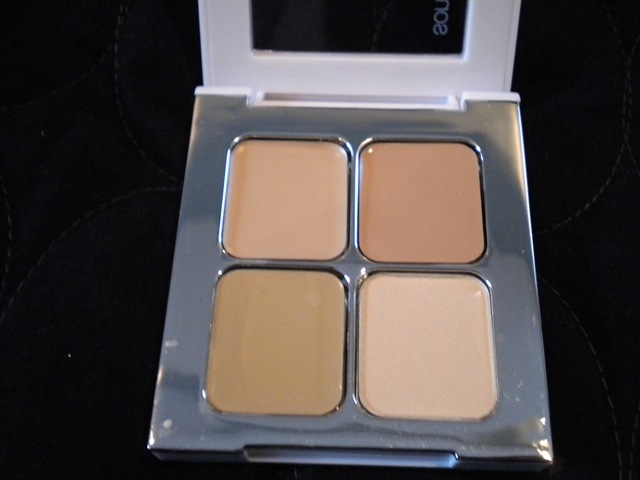 I picked this one up at Ulta for around two bucks. 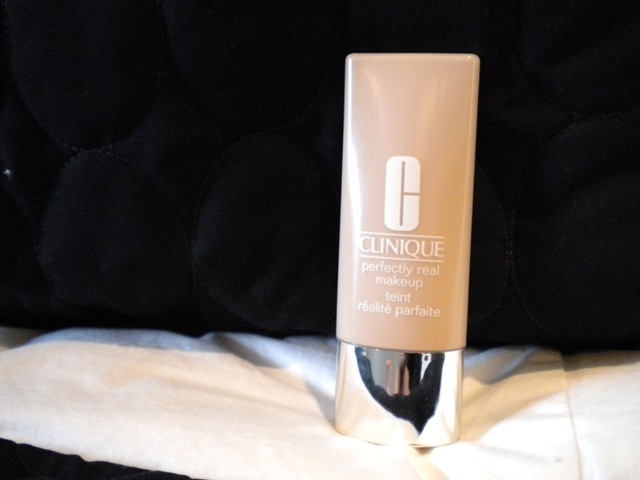 And speaking of under eye circles – hello thirties, kids, no sleep – this little beauty is a life saver! I love the Sonia Kashuk line of products available in Target. I have her brush set which I love, and the makeup is simple, good quality, affordable prices. My favorite has to be the concealer above. 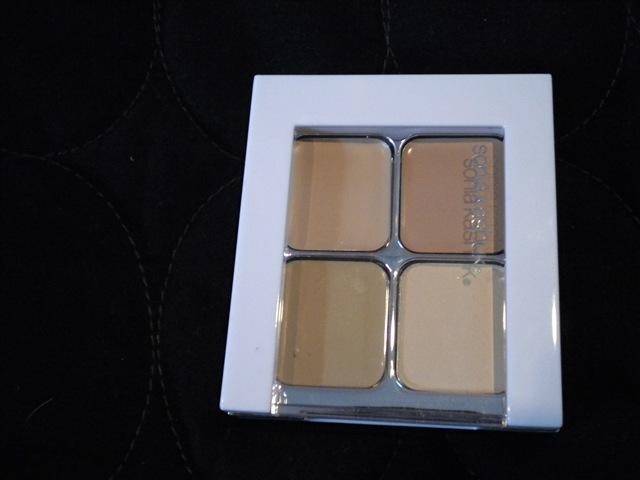 It is called Hidden Agenda concealer, which includes a darker shade, light shade, green based shade (for redness), and a finishing powder. I like the variety in the shades since skin tones tend to change with the season, and you can blend them together as well to get the right coverage – genius! 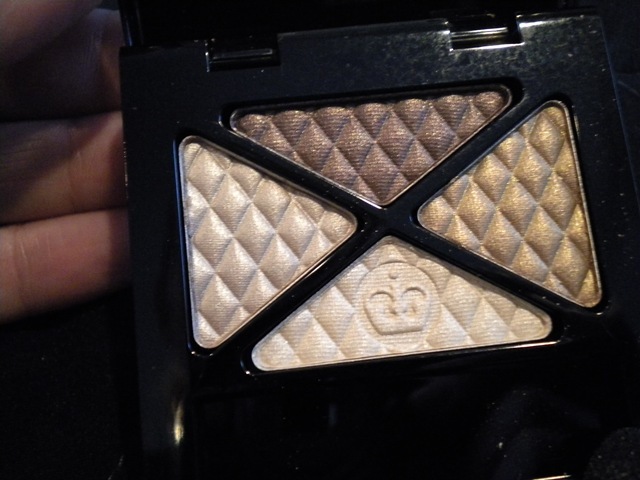 Next item up is one of my new go to color palettes for eye shadows. The smokey brun palette by Rimmel. Love this for fall. It is slightly shimmery, kind of like a frost in a way. The colors are subtle when applied with a light stroke. Of course you can deepen them for the smokey look depending on the tools you use and how you apply. This is so my go to make up for the moment. 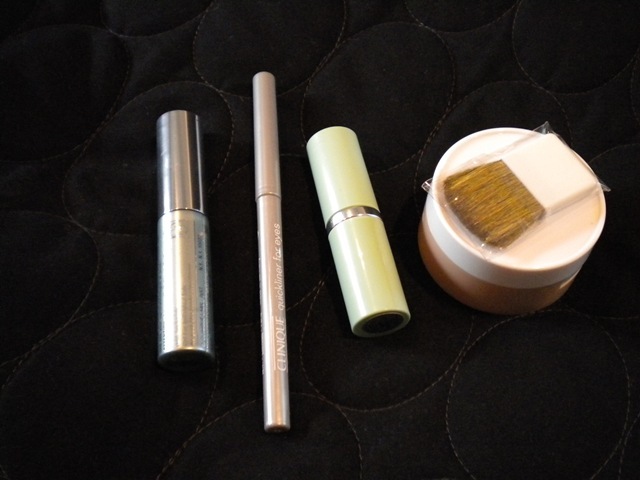 Now among the items listed above, I also picked up a new eyelash curler in a rocking purple color, nail polish remover, nail sticks, q-tips, etc. Just a few necessitates that are required. What are some fun new items that you have picked up lately? Fun stuff, that top is so cute! I swear by the Garnier anti-puff eye roller. My eyes get SO PUFFY when I sleep and that roller is the only thing I ever found that works! I love the roller, it is so much easier than having to use a cream/gel! Oh Ari, I remember those days except it was me in school with no money to spend! 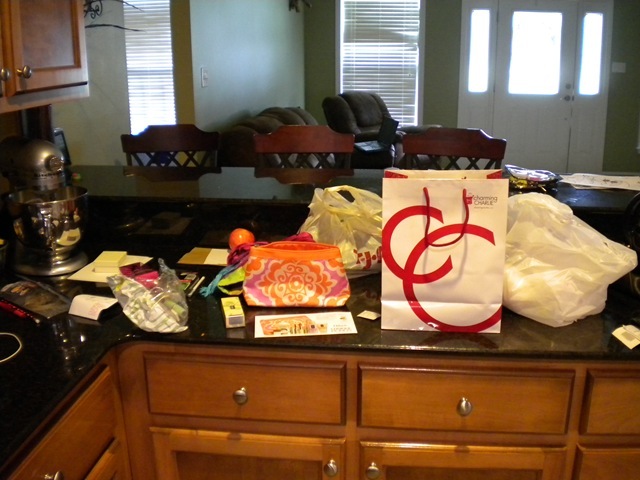 I have been out of school for three years now and am just in the past year able to shop a little with each paycheck!